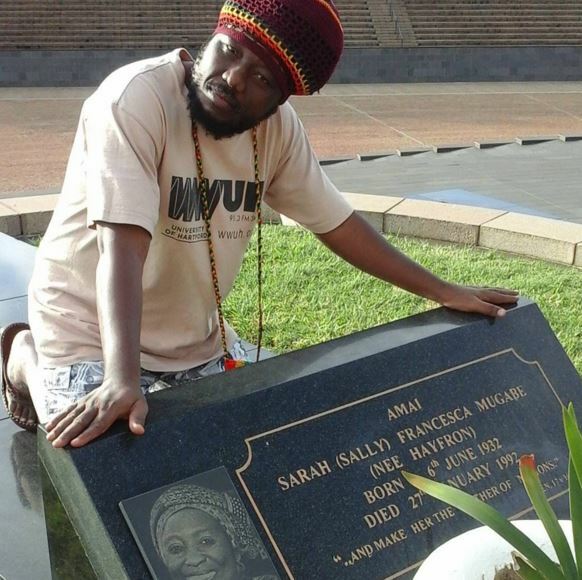 Ghanaian reggae icon, Blakk Rasta wept when he visited Zimbabwe’s Heroes Acre where national heroes and heroines are buried to pay homage to late Amai Sally Mugabe, the revered mother of Zimbabwe and Ghanaian wife of President Robert Mugabe. Blakk has been in Zimbabwe since last week and was hosted by the Zimbabwean president. He also performed at the 7th edition of the Zimbabwe Music Awards (ZIMA) held at the Harare International Conference Centre last Thursday night. After the show, he and his band visited some Zimbabwean historic sites including Heroes Acre, major national monument in Harare Zimbabwe. Back home, he was nominated for Vodafone Ghana Music Awards (VGMAs) for Reggae/Dancehall song of the year for his song, Serwaa Akoto and also Reggae/Dancehall artiste of the year.